A blizzard hit. They called it a bomb cyclone. We called it annoying. It didn’t even come with a free trip to Arendelle. But it is a new year, so we push through the snow. 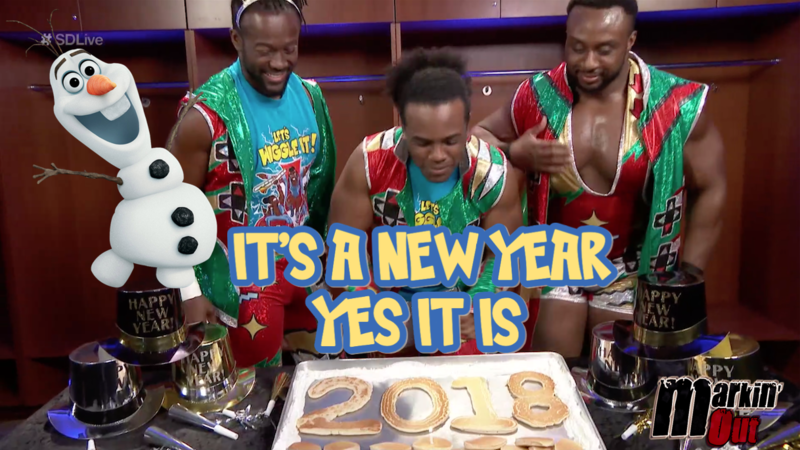 This entry was posted in Podcasts and tagged AJ Styles, Brandon, Brock Lesnar, Brooklyn, Bryan, Bullet Club, Cena, Cesaro, Champion, Chris, Daniel Bryan, Dolph Ziggler, Facebook, Independent Wrestling, January, Japan, John Cena, Kane, Kayfabe, Lesnar, Long Island, Madison Square Garden, Markin' Out, Monday, MSG, New Japan Pro Wrestling, New Year, New Year's Day, New Year's Eve, New Years, New York, NJPW, NXT, NYE, podcast, PPV, Pro Wrestling Tees, Raw, Recap, Results, Ring Of Honor, ROH, Royal, Royal Rumble, Rumble, Ryder, Ryder Revolution, RyderMania, Shane McMahon, Sports Entertainment, Styles, SummerSlam, Survivor Series, Taylor Swift, Twitter, USA, winter, World Wrestling Entertainment, WrestleMania, wrestling, WWE, WWE Network, WWENXT, WWWYKI, Wyatt, Wyatt Family, Zack Ryder by Brandon. Bookmark the permalink.